Most beekeeping books and beekeepers will always agree that there is always one active queen in a hive. There should never be two. Even so, it sometimes does happen. one. It over wintered very well and it built up extremely early. The queen was a prolific layer. 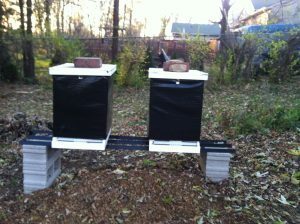 The bees managed to produced a box of ross rounds, a box of comb honey and filled two honey supers. After the honey was removed for the season we tested and treated for mites because, as is true with all large colonies, there were mites present and even signs of deformed wing virus. There was a possible risk candidate for throwing a swarm since the hive was congested. The queen also did not stop laying eggs. Since nectar flow in this area virtually stops after July we were feeding, but it did not help much. 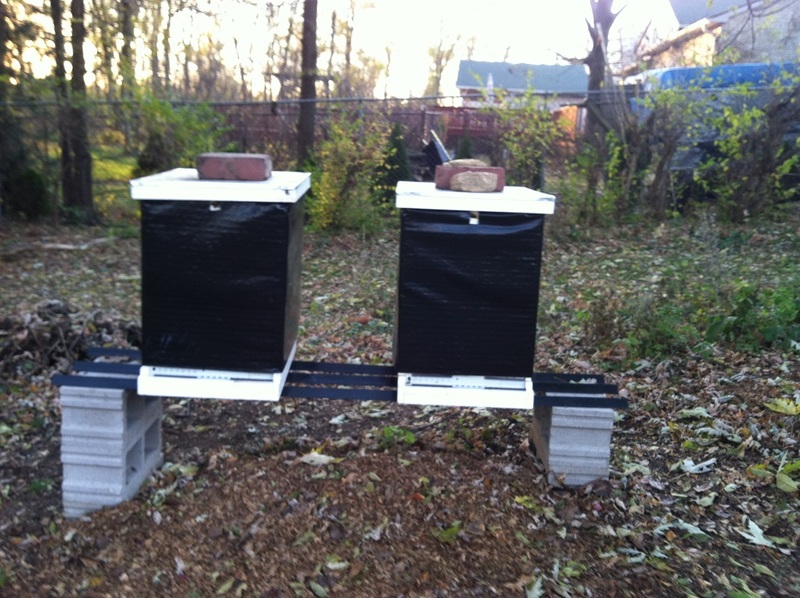 The hive most likely built some swarm cells in between our more detailed inspections. 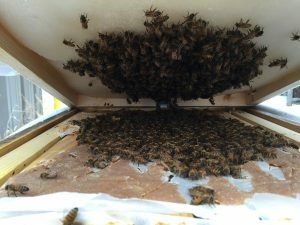 When we finally did a detailed inspection there was evidence of many swarm cells and it appeared that there were many queens released. At least one left with a swarm. One daugher appeared to stay behind with mom. 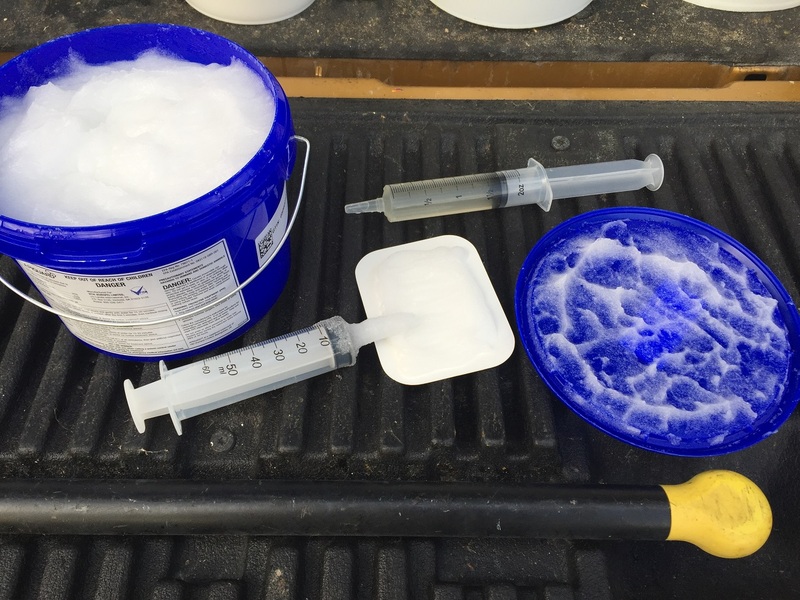 Mite levels were high before treatment. Treatment started before the swarm occurred. After the mite treatment we found very low mite counts. There were plenty of eggs being laid, but not really enough workers. This late in the season it would be fair to predict failure. Only time will tell if this hive will survive. 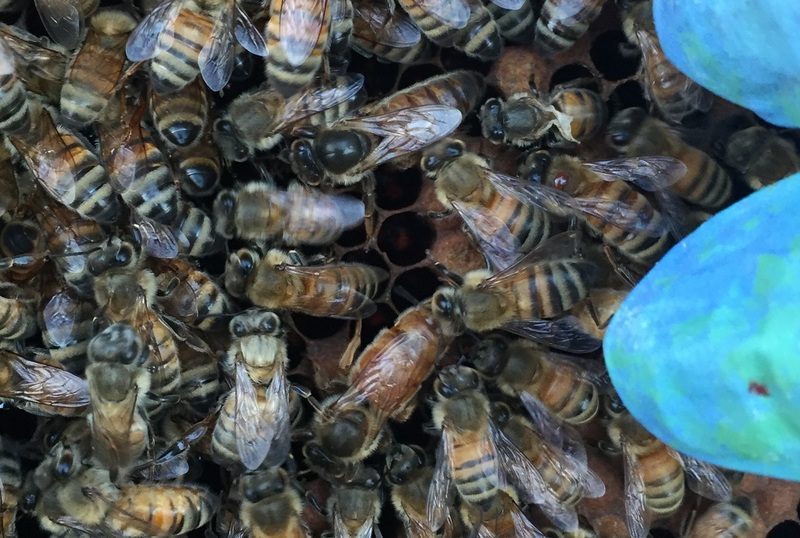 Did the prolific queen cause the hive to swarm? 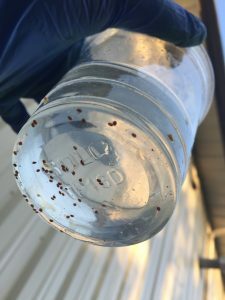 Did the mite treatment, Thymol with oxalic dribble every seven days, cause the hive to swarm? 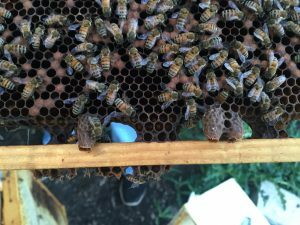 Did the high mite load cause the swarm? We may never know. We only have a few clews and the bees are not talking.